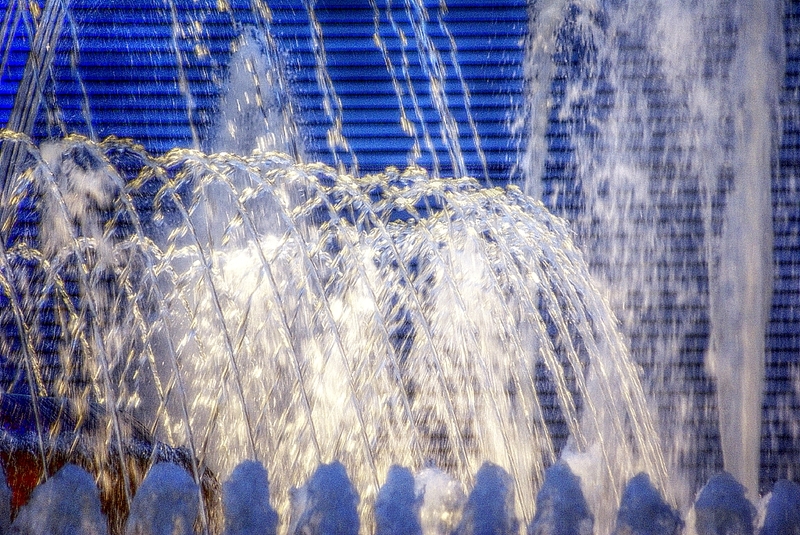 The white water fountains leading to the magic fountain, for Water World Wednesday. Let’s walk together towards a common goal! 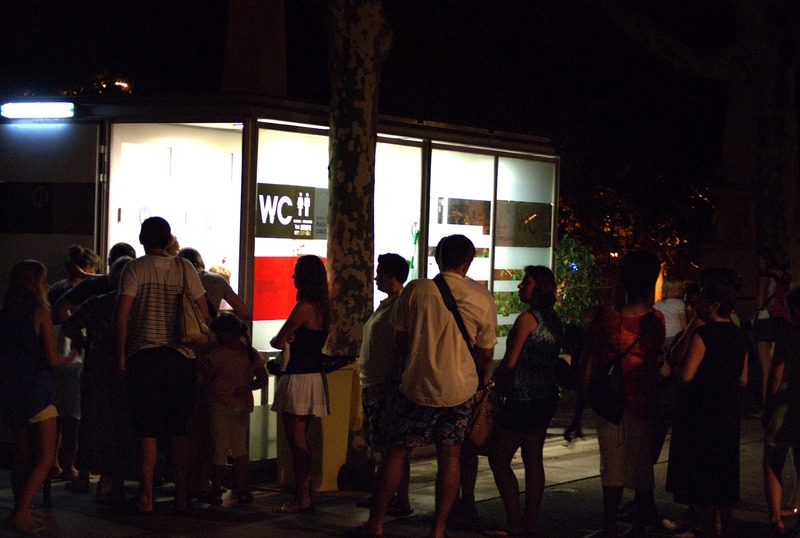 Queuing for the public toilet. Right. It is theme day, and the theme is people watching. 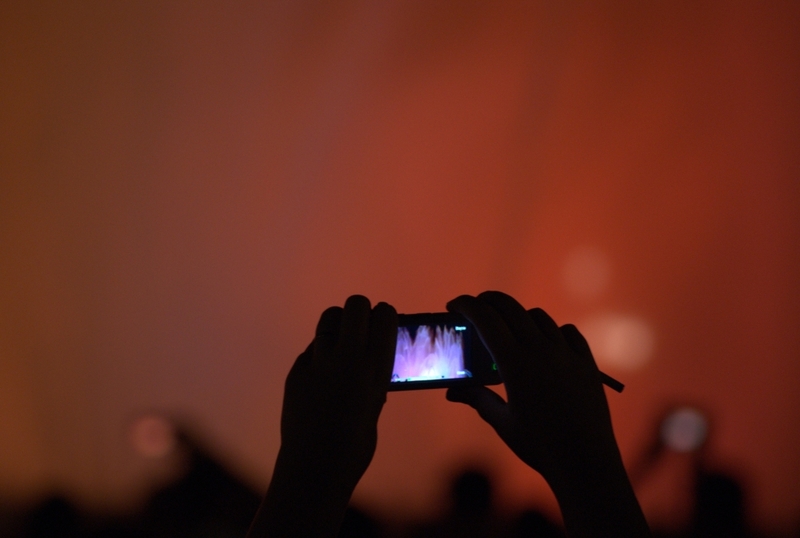 Please check here to see what other participants did, or to post your own entry to the theme. News. 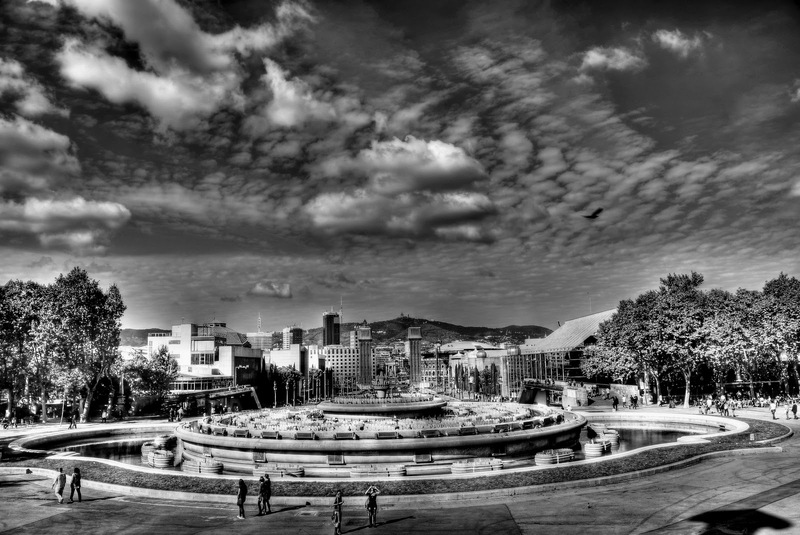 According to ‘Forbes’ magazine, Barcelona is the happiest city in Europe, and the 3rd happiest city in the world, after Rio de Janeiro and Sydney…… Aren’t you happy wherever you live? Been a while… It is so hot here than going to the Magic Fountain water, light and music show in the evening, up close, is a very very good idea! Due to the large amount of spray, it’s like a huge outdoor shower, and you can even sing while the music is playing! 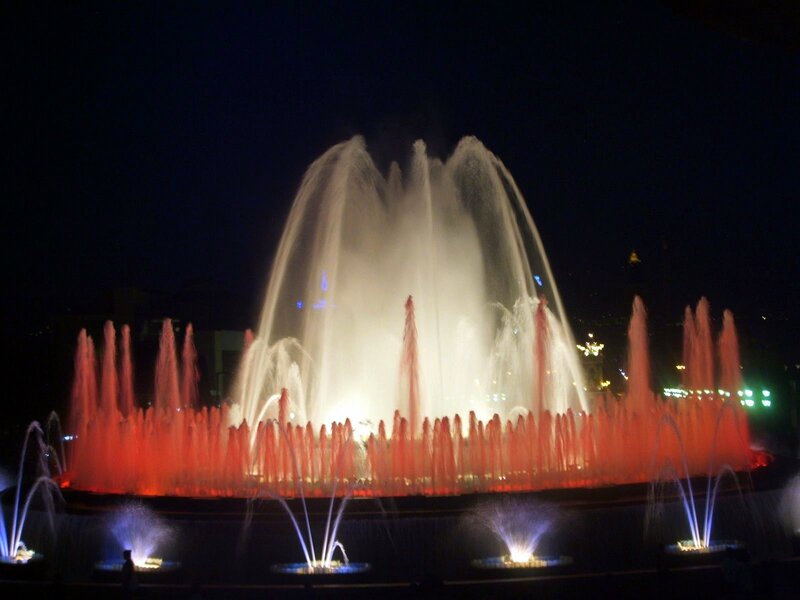 The Magic Fountain, Fons Magica, is closed for maintenance. 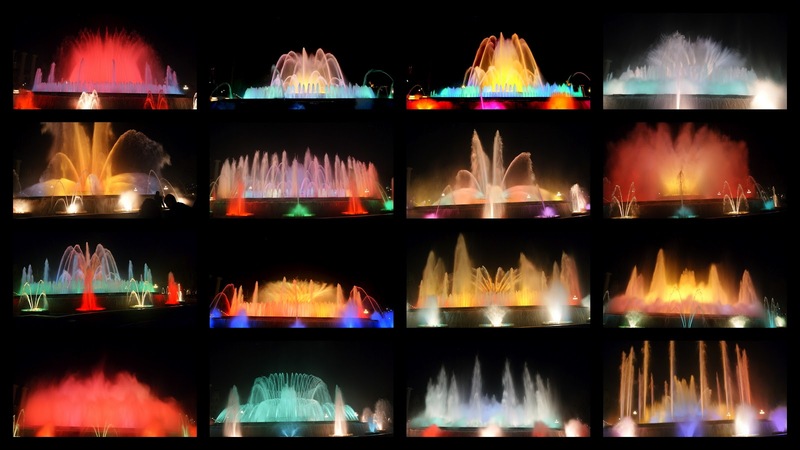 It will reopen on March the 2nd, usual time, with an even better light, water and music show! Meanwhile, if you look into the crystal ball below, you might get a glimpse… Or a dream. This is our world on Tuesday. OK, a few ‘trade secrets’. I took 3 photos, with a 0,7 bracket (with 0,7 dioptries difference between each photo). Ideally, these photos should be taken with your camera on a tripod, but it works if you’re really steady. Passed the photos through a HDR program, Photomatix Pro, version 4.1. Tonemapped it, changed it into black and white using Picasa, worked a bit with saturation and shades. Et voila! All this for 2 of my favorite weekly memes, Skywatch Friday and the Weekend in Black and White. Lots of cats living wild on Montjuic Hill. And they need to drink as well. 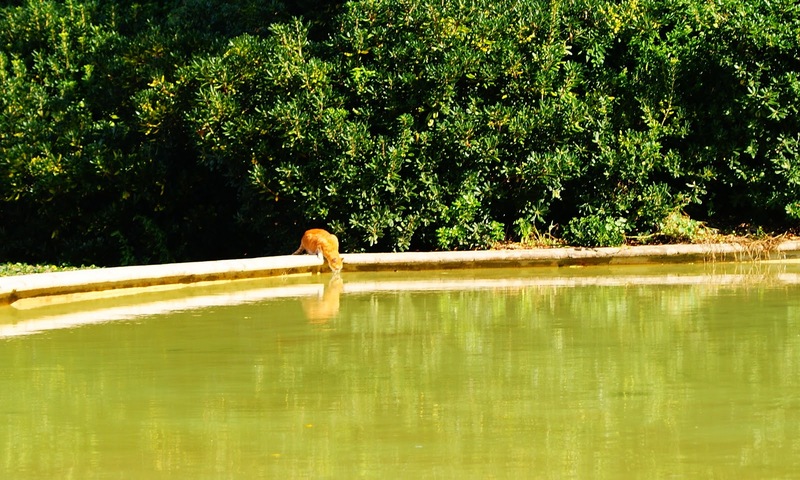 Spotted this one on a very warm and sunny afternoon, last sunday, just a few meters away from the Magic Fountain. A fine pussycat for a fine Watery Wednesday! I will come back to the bikes themselves in a short while. Enjoy your weekend everybody! 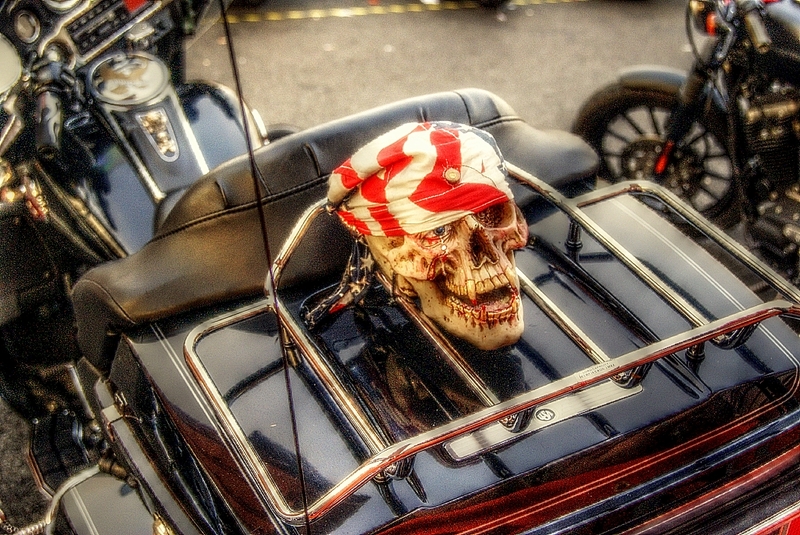 BTW, HOG stands for Harley Owner Group. Wish I was one! Another Wednesday, and here we go again: the (almost) weekly Magic Fountain shot. 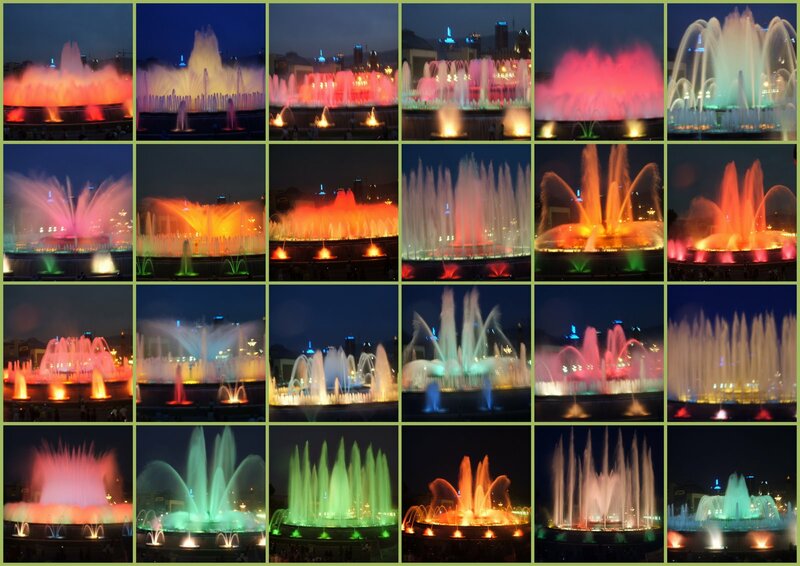 Click on the labels below to see more of the Magic Fountain. 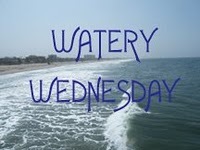 And also click here to see other participant’s photos to this Watery Wednesday meme. 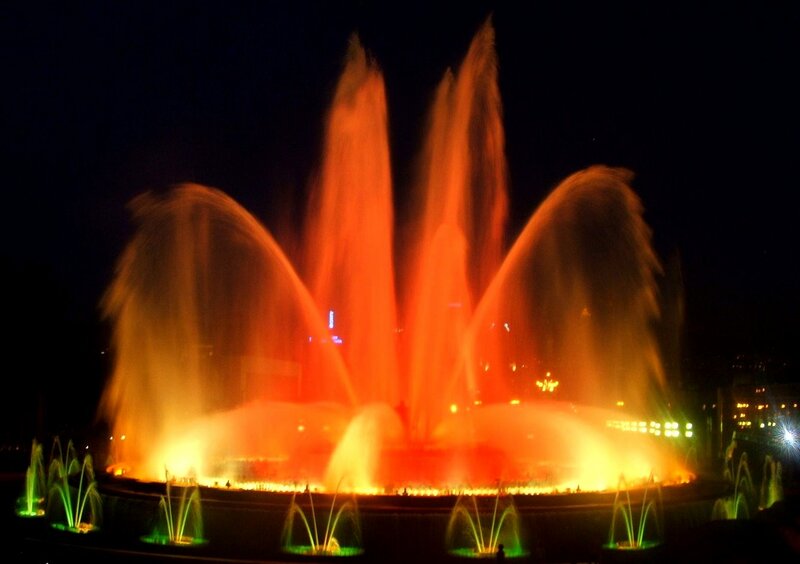 Yet another picture of the Magic Fountain for this week’s Watery Wednesday. I don’t think we’ll ever grow tired of it!!! 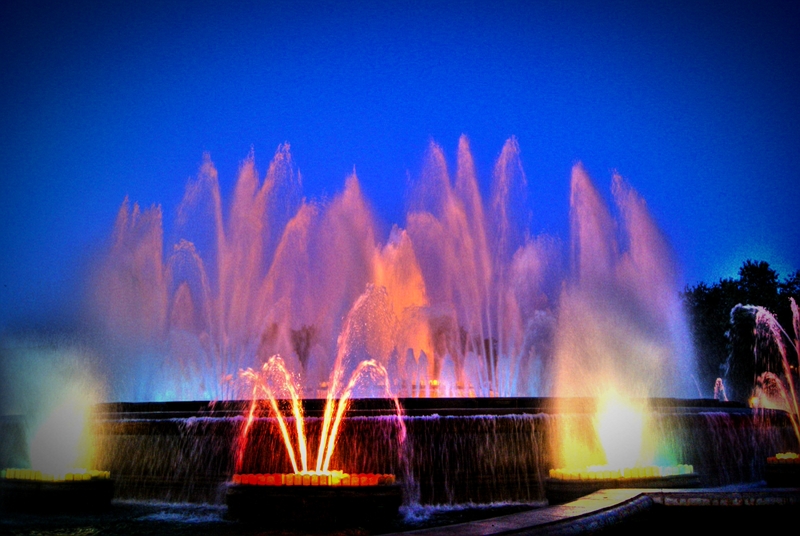 We went back to this most magic of places last night, the Magic Fountain in Montjuic. Enjoy! Here we are again, the CDP monthly theme day. 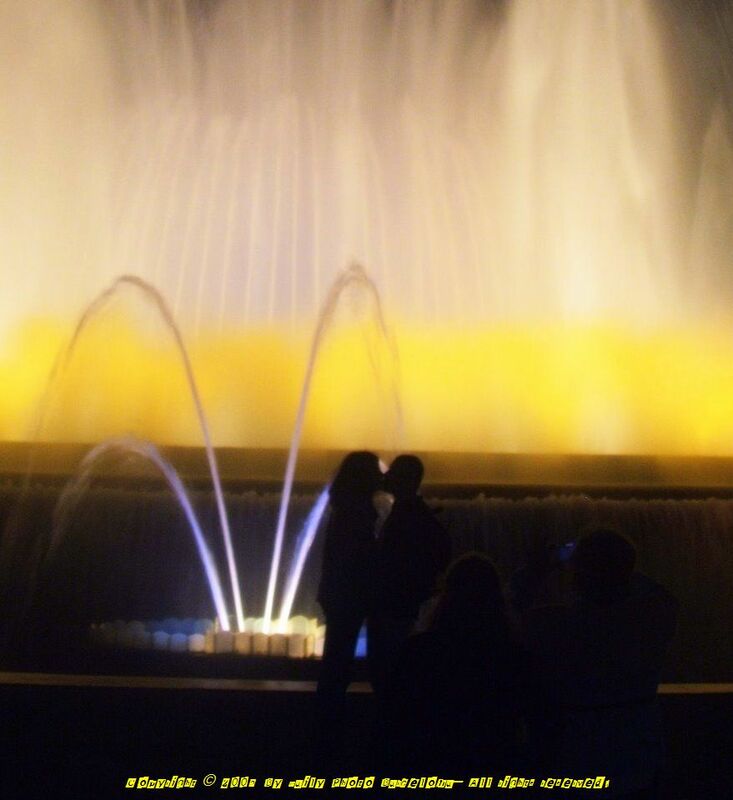 Today, February 1st: fountains. 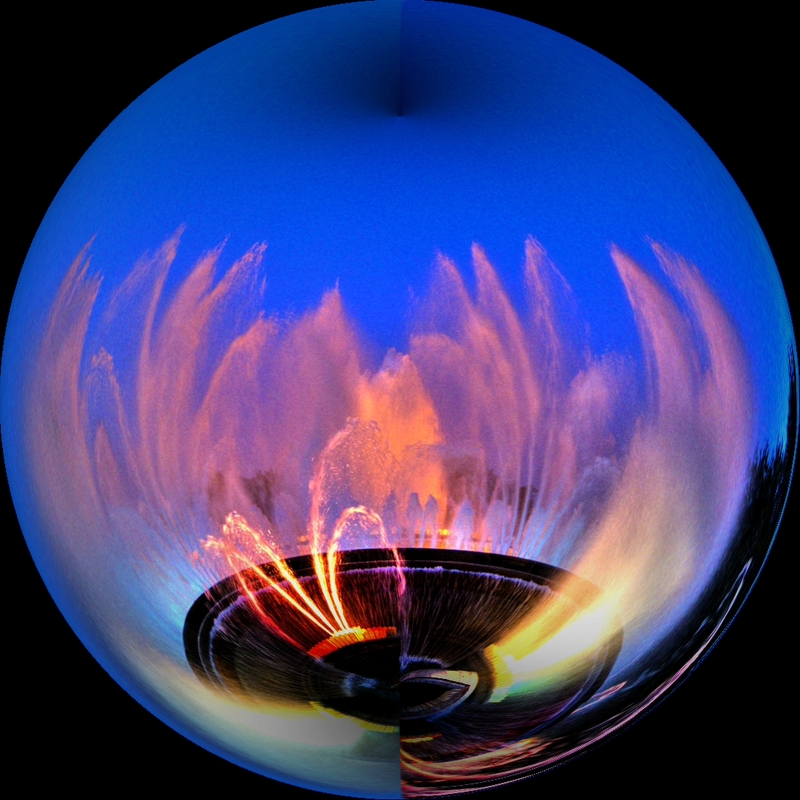 Well, this is one I made earlier, from our beloved Magic Fountain, Fons Magica. Admittedly reworked to death, but I think it was worth it. Don’t you love the 2 Asian (Japanese?) girls posing in the middle of the photo, and probably getting very wet? As this is where we live, this is for My World Tuesday as well. Click right… HERE ! 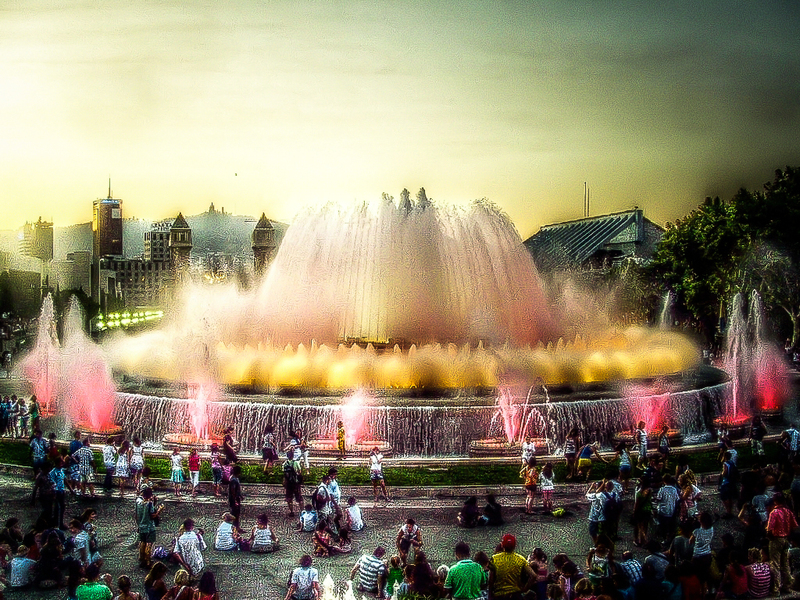 Been a while… From the archives, one of our old favorites, the Magic Fountain near Plaza de Espana. As usual, this is for Watery Wednesday 111. Please click here if you want to be totally flabbergasted! 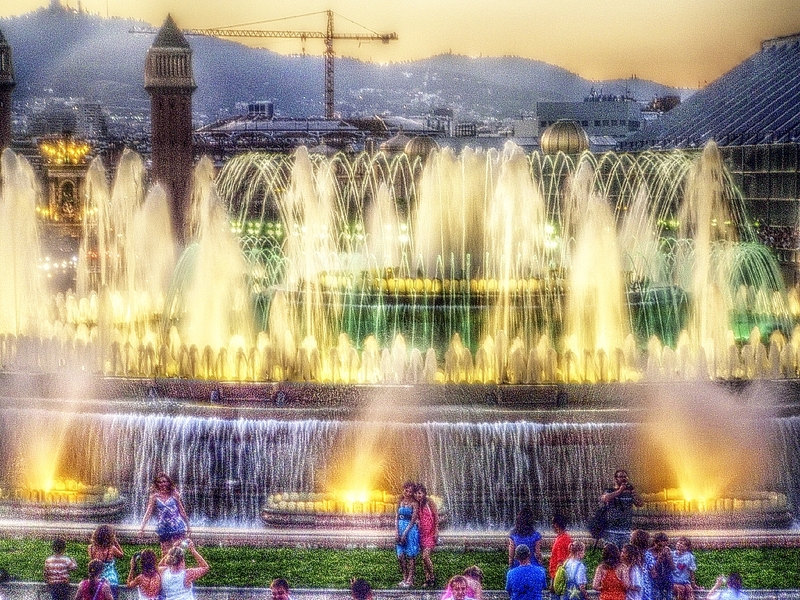 Been a while since I post anything from the Magic Fountain in Montjuic… Enjoy! 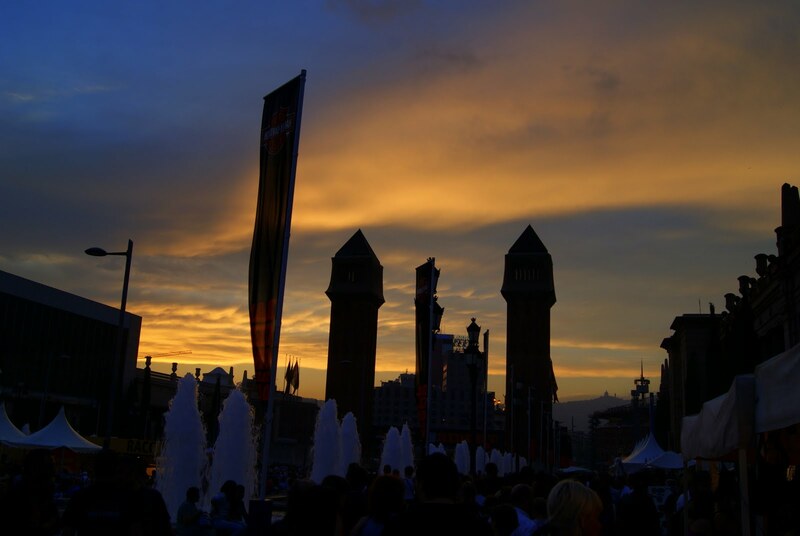 This is one of the main things you CANNOT MISS, when you’re next in Barcelona! 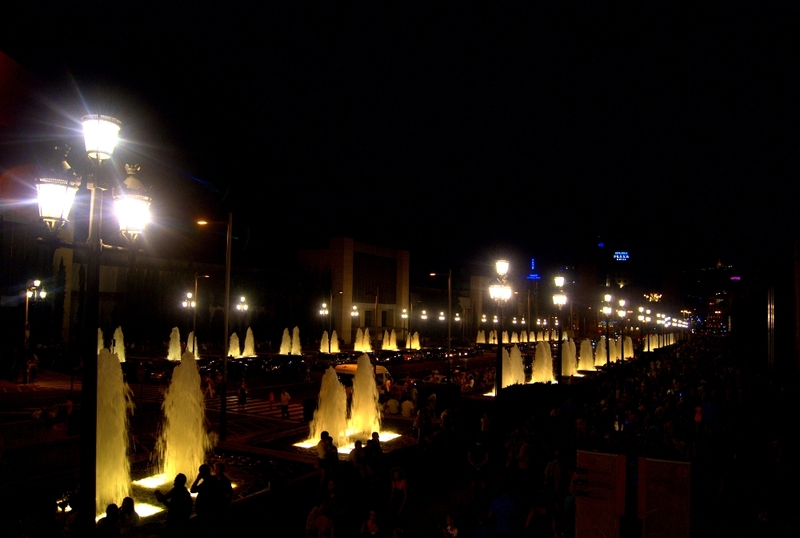 You can get an idea of the size of the fountain by watching the people in the foreground: it is huge! Some more (archive) photos from the most magic place in town, the magic fountain. Don’t have much time and opportunities to go out at the moment, or to browse your blogs, unfortunately. Just outside the museum I depicted yesterday, is the big beautiful magic fountain, of which I have so many hundreds of photos. Trying to put some order into that chaos, I stumbled upon this little gem. Enjoy! And please kiss someone in the next 10 minutes! On the first day of every month, we are having a theme day. Many of us post a photo, around the same theme. Today’s theme is night. 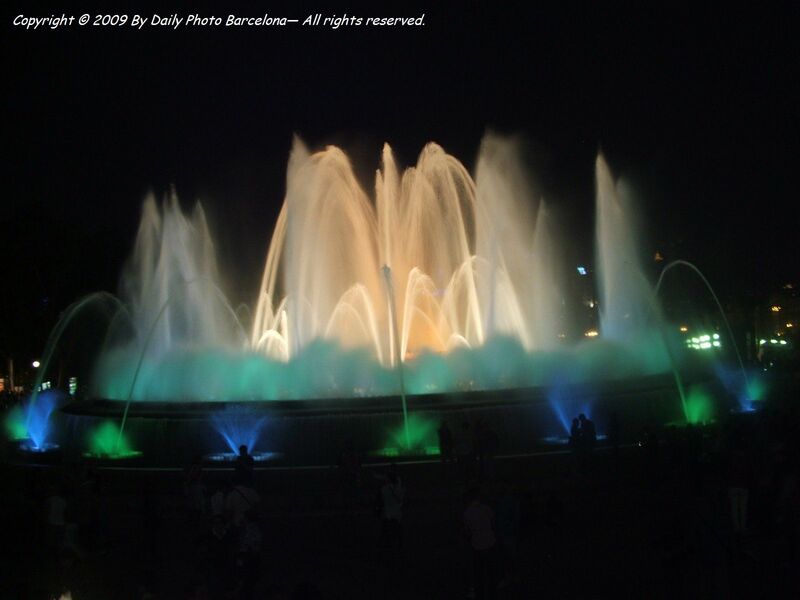 Here is my small contribution, another photo of the Magic Fountain in Montjuic. Last week, they started a new show, mainly based on 80es music. Should you happen to be in town, go to see it! Click here to view thumbnails for all participants, believe me, it’s worth it!